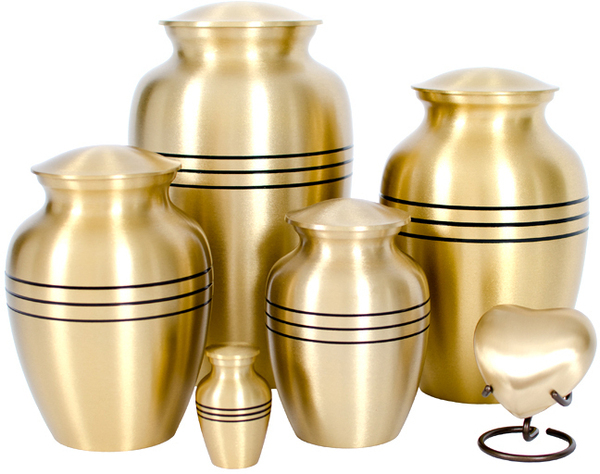 The Traditional Bronze Urn is made of brass and is individually handcrafted using a sand casting process that is hundreds of years old. 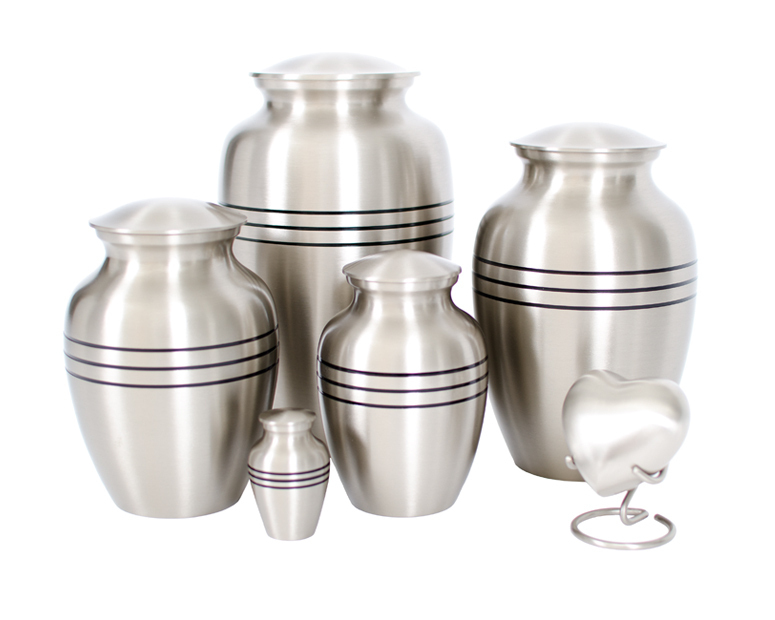 The urn is offered in a brushed bronze or brushed nickel finish with three black antiqued lines that encircle it with detail. A matching keepsake urn and a heart keepsake are available. Up to 40 cu. in.